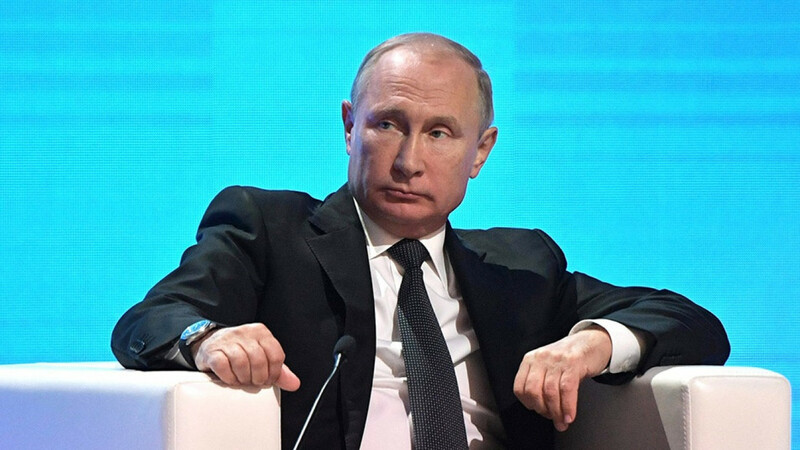 President Vladimir Putin is finding out the hard way that Russia can’t accelerate economic growth and build barricades to limit the fallout from future U.S. sanctions at the same time. The nation’s policy makers have done a good job of delivering him the latter, by cutting spending, keeping monetary policies tight and funneling excess oil revenues into reserves. But data due as early as Tuesday are likely to show that it’s all coming at the expense of economic growth. The economy may have expanded just 1.4 percent in the third quarter from a year ago after gaining 1.9 percent in the previous three months, according to a Bloomberg survey. Putin pledged after his re-election in March to accelerate growth to a level that exceeds the global average of 3.7 percent. Putin’s growth ambitions have fallen by the wayside as the sanctions noise from Washington grows louder amid an investigation into alleged election interference. 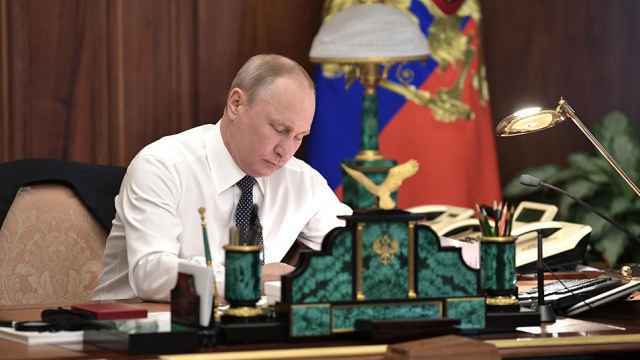 Faced with proposals in Congress that include curbs on sovereign debt and state-owned banks, and still mopping up the fallout from penalties imposed in April, Russia’s policy makers have chosen to play it extra safe. The measures have ensured that Russia is now much less vulnerable to external shocks than it was during the first U.S. sanctions in 2014. 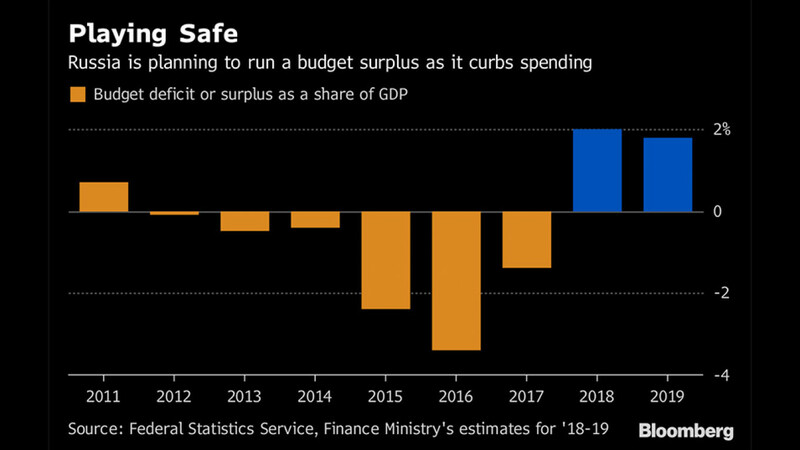 An increase in oil revenues this year has made the nation the only major emerging market to be running both current and fiscal account surpluses, according to Ribakova. 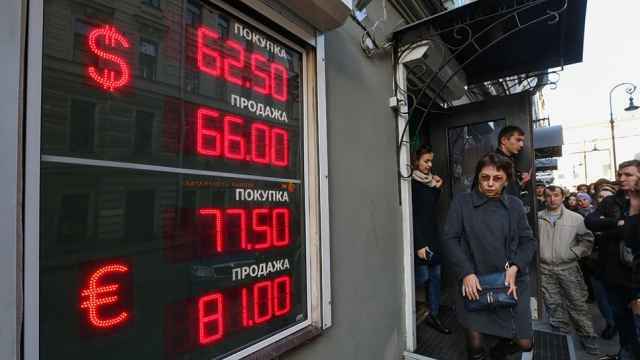 The burden has been shifted to consumers, though, who are having to bear the brunt of rising inflation after uncertainty around sanctions prompted a 15 percent slide in the ruble this year. An increase in value-added tax next year to fund spending will exacerbate that further. The Economy Ministry cited the weaker currency and increased uncertainty as a drag on investment in July through September, estimating growth of 1.3 percent for the period. Central bank Governor Elvira Nabiullina told reporters in Moscow last week that her task is not to allow the “serious external pressures” Russia is living with to curb growth. In another move likely to hurt the economy, however, the central bank raised borrowing costs for the first time since 2014 in September. Nabiullina said last week that ‘temporary’ rate hikes shouldn’t be cause for concern, prompting bets there will be another one in December. 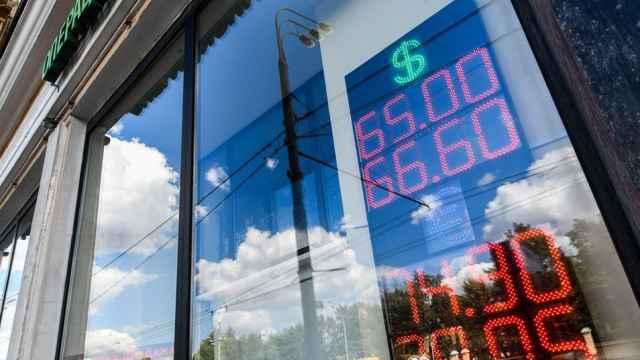 Russia’s government wants to stimulate use of alternatives to the dollar, as the Kremlin fears of new American sanctions. The new law gives Putin the power to ban the trade of certain goods and to sever ties with unfriendly countries. Washington said it would impose further sanctions on Monday over Russia's support for Assad.